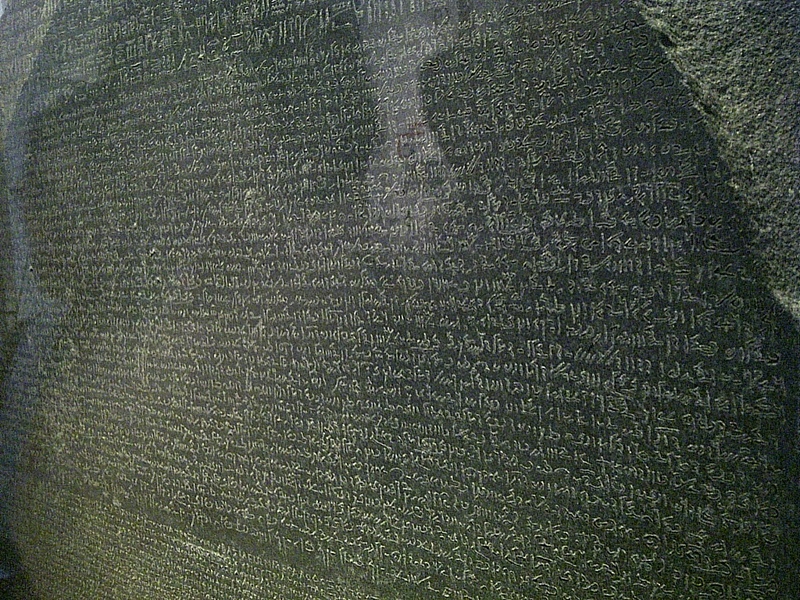 An unusual picture of “just a rock” but this is the Rosetta Stone, which unlocked ancient Egyptian writing for modern man. The British Museum. London, England. June 18, 2013. On the ENGLAND, SCOTLAND & WALES tour.